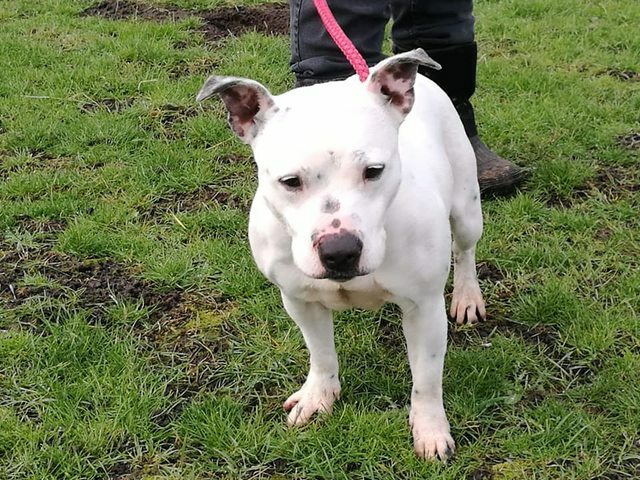 Bailey is a 4 year old female Staffordshire Bull Terrier girl who is in urgent need of either a foster or forever home. 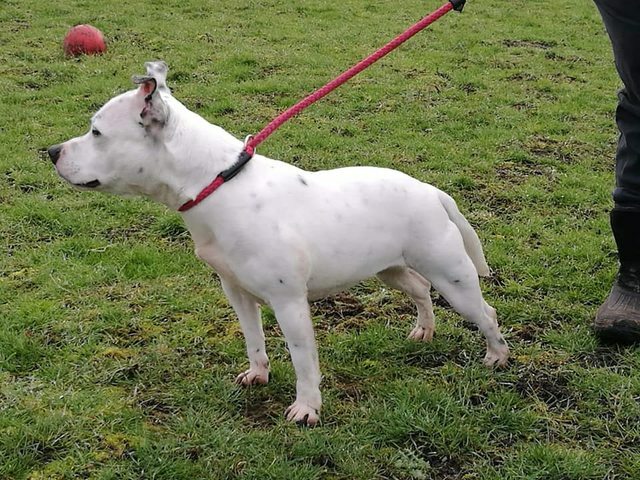 Poor Bailey is currently in emergency boarding which saved her life but she desperately needs to be out of kennels ASAP as she is self harming as she hates being on her own without people. 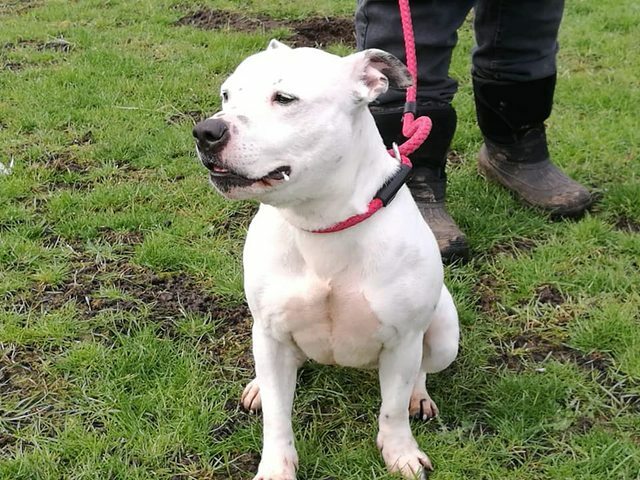 She also dislikes other dogs and animals so kennel life is no place for this loving girl. Due to not liking other animals she needs to be the only pet in the home. Bailey is quite excitable and energetic so we think she would be more suited to an adult only or a family with teenage children home. She is 4 years old and spayed. She is such a beautiful girl with Fostering a homecheck would be needed and if adopting a homecheck and adoption fee needed.